Buy craft coffee online and have it delivered to your home or office. We offer free local delivery in Central San Diego and free shipping in the U.S. on all orders over $40. We have light, medium and dark roast single origins and blends. 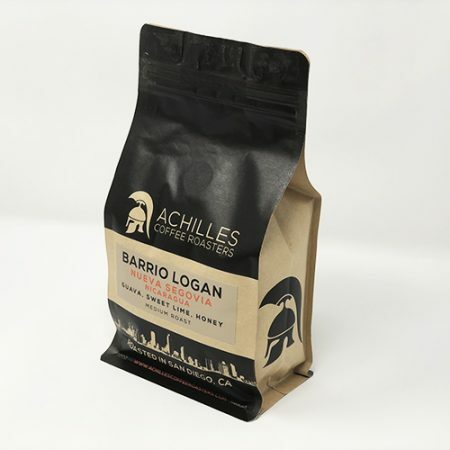 Our beans are packaged immediately after roasting and then delivered fresh to you. Orders placed by midnight Monday- Thursday will ship within 48 hours. Orders placed Friday – Sunday will ship within 48-72 hours. Try a customizable Coffee Subscription and explore new coffees from around the world. 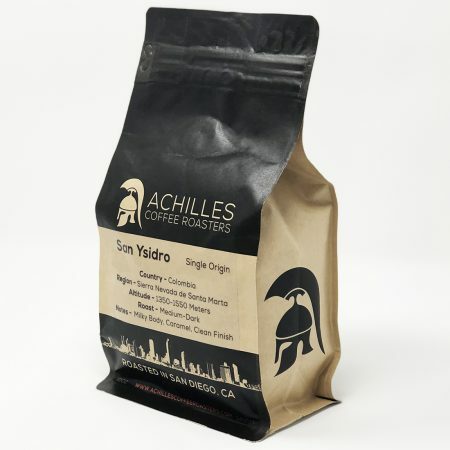 At Achilles Coffee we offer a variety of origins and profiles. 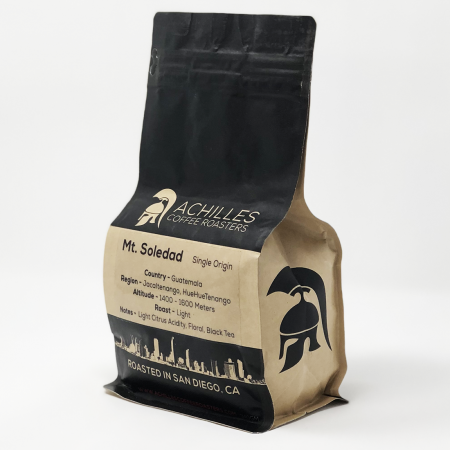 We roast in small batches at our roastery and coffee shop located in downtown San Diego. We offer the largest selection of pour over coffee in San Diego. Whether you prefer a floral and fruity Ethiopian or a nutty and chocolatey bold blend, we have offerings for every palette. Stop by our roastery at 703 Ash St. and enjoy a great pour over and community at our Cortez Hill location. Our lounge offers free WiFi and a cozy atmosphere when you need an escape from work or home. In addition to great coffee we have possibly the best breakfast sandwiches anywhere. We use locally sourced and organic ingredients whenever possible. Locally baked fresh bread and eggs from right here in San Diego County. Stop in and try our Bankers Hill breakfast sandwich. A fresh egg, bacon, turkey, white cheddar, spinach and fig jam on a toasted brioche bun. *We offer vegetarian, vegan and gluten free menu options too! Come enjoy the amazing weather at Downtown San Diego’s only all outdoor cafe. Nestled in one of downtown’s premier high apartment buildings, The Rey, located at 800 B St. in the heart of downtown. Relax with a perfectly crafted pour over and possibly the best breakfast sandwiches anywhere and enjoy the warm San Diego sun. 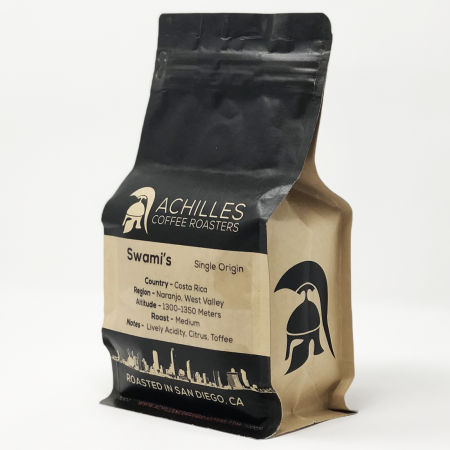 Locally Roasted Small Batch Wholesale Coffee Available. Our wholesale customers enjoy competitive pricing, free delivery, equipment service and support and specialty coffee training. Selected beans from single estates, or even single fields we consider country of origin, soil, elevation and other factors to select the best beans for roasting. 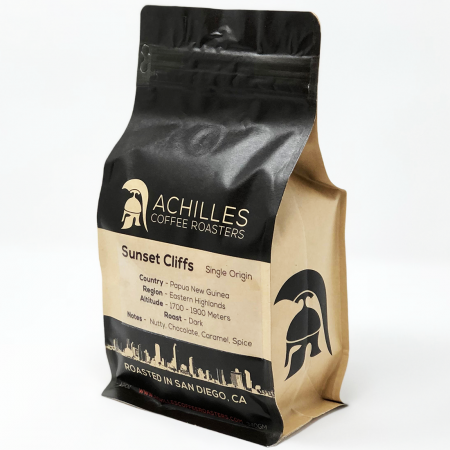 Our single origin roasts have a more nuanced and individual flavor profile. 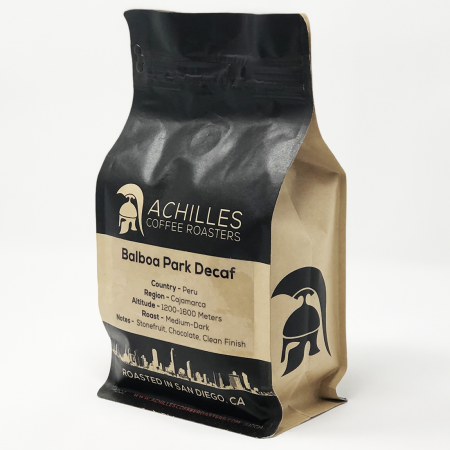 Using a variety of roasts and coffees from different regions we craft blends with an even broader profile than is typically found in single origin coffee. Our intention is to retain the personality of each coffee in the blend without compromising the character of the coffee. 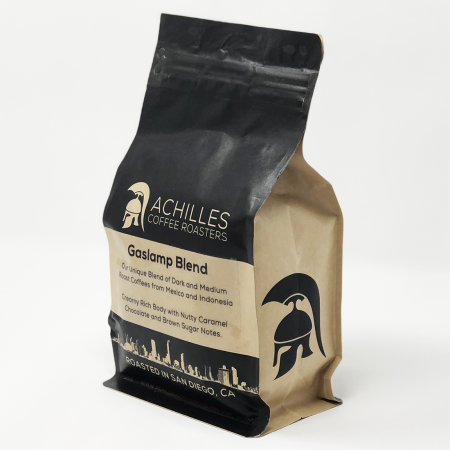 Offer fresh locally roasted Specialty Coffee at your restaurant, coffee shop or office. A 10 lb. minimum order qualifies for our wholesale pricing and free delivery anywhere in San Diego County. 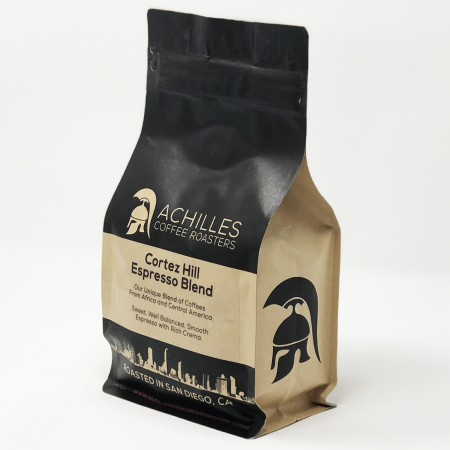 Achilles Coffee offers kegs of our cold brew and nitro cold brew. Our wholesale accounts include specialty coffee training, equipment servicing, free delivery and flexible terms.